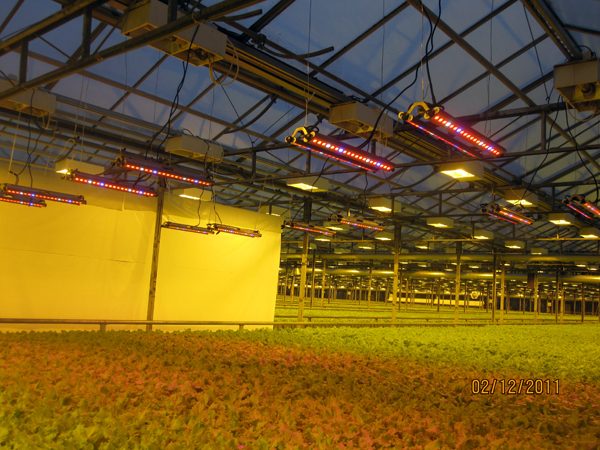 PGL-PFL 2 line is a simple but professional light unit for greenhouse use and indoor cultivation. 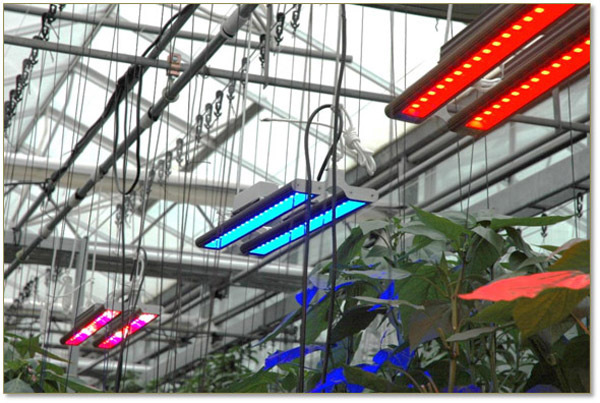 It is designed for general use, can be used for leafy greens and flowering plants, and for all phase of growing from seedling to flowering. The best part of PGL-PFL 2 line is that SMPS is mounted on lamp body; has a power cable with plug, no need complex wire work, just plug and play. 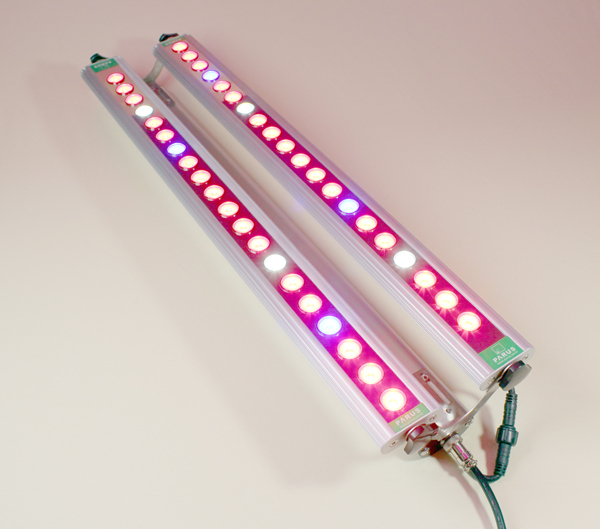 In addition, its installation angle is adjustable; combine two linear lamps provide wide angle lighting. 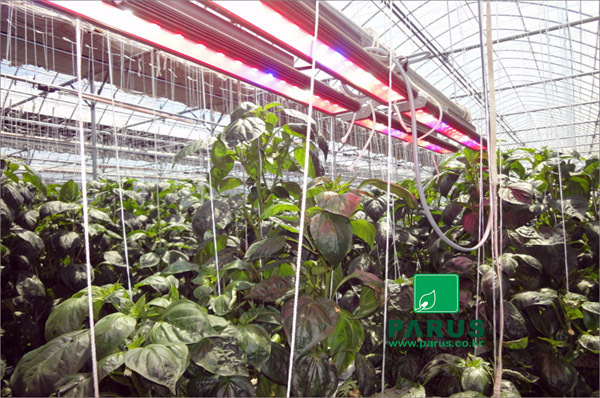 ► Wide application – It provides light which suits general plants such as Lettuce, Herb, Tomato, Paprika, Cucumber and Strawberry. ► Easy installation – SMPS is mounted on lamp body, the power cable with plug can be easily connected by cable jack, no need complex wire work. ► Adjustable light angle – Combined two linear lamps provide wide angle lighting. 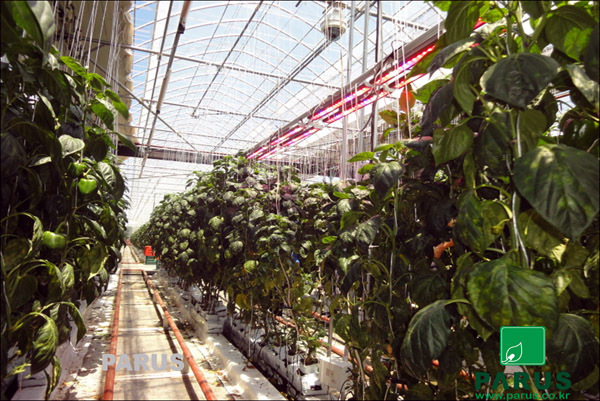 ► Cultivable Plants : Lettuce, Herb, Tomato, Paprika, Cucumber, Strawberry, etc.